Cancer is a complex metabolic disease. As simple as this statement is to write, it does nothing to reveal the complexity that actually is cancer metabolism. Numerous research and medical journal publications have been published on this very topic of cancer as a metabolic disease. This is the fifth article of a seven-part series by Nathan Goodyear, MD at An Oasis of Healing showing the evidence and scientific research with IV Vitamin C and its effects on cancer. If you missed the last article, you can visit here for that article or go here to our blog page and read all the articles in this series. Even the top researcher on the topic, Dr. Thomas Seyfried entitled his 2010 paper and his 2012 book Cancer as a Metabolic Disease. As prominent as these recent publications are, it all began with Dr. Otto Warburg and his description of the aerobic glycolysis metabolism of cancer in the article On the Origins of Cancer back in 1956—justly named “the Warburg effect”. Dr. Warburg described the complexity in the metabolic changes in cancer in the simple—aerobic glycolysis. Let’s take a stroll back down the biochemistry memory lane. All cells must make energy to live. The cell’s complete pathway for energy production includes 3 separate, yet connected pathways: glycolysis, the Krebs’s cycle, and the electron transport chain. Energy production begins with glucose, amino acids, and/or fats. The glycolysis pathway uses glucose as its sole source for energy production. In contrast, the Krebs’s cycle and the electron transport chain, can use amino acids and/or fats, in addition to glucose, as additional sources for energy production. Aerobic glycolysis is the cancer cells use of glucose in the inefficient energy pathway of glycolysis under aerobic conditions. This use of glycolysis by cancer cells in the mismatched aerobic environment on face value is a paradox. Glycolysis should dominate in the presence of a low oxygen environment (anaerobic), instead of the oxygen-rich environment (aerobic). The oxygen-rich environment favors the more efficient energy pathway of oxidative phosphorylation (kreb’s cycle and the electron transport chain). 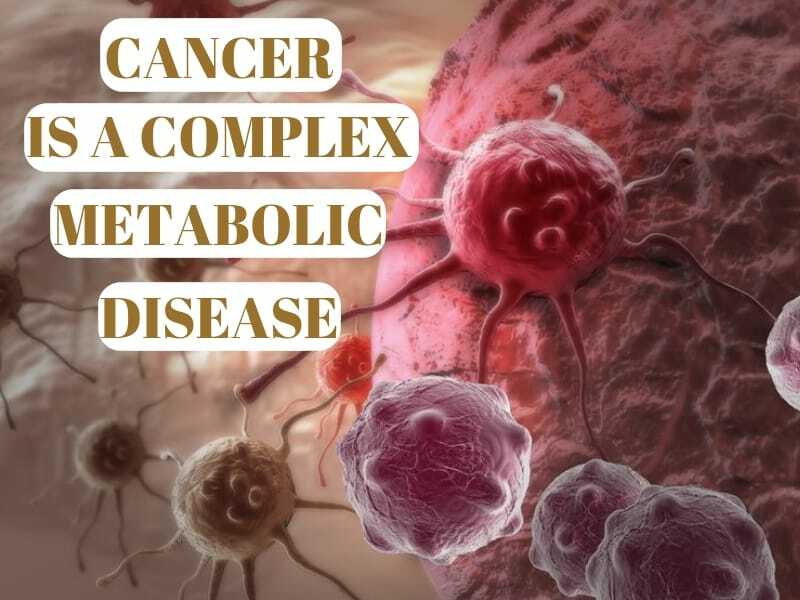 The paradoxical state of cancer cell metabolism, aerobic glycolysis, has been the debated dogma of cancer cell metabolism since its first description by Dr. Warburg. This is the simple truth that lies behind the statement that cancer loves sugar. As in so many things, the story does not end there. Recent research in cancer stem cells (CSCs) highlights a new discovery of the complexity inside the simple. Cancer stem cells are the hot topic of discussion in treatment-resistant cancer and recurrent cancer. Cancer stem cells are the ultimate back-up copy for the cancer cell. It is important to first understand that not all cancer cells are CSCs—cancer cells and CSCs are not interchangeable. The simple assumption was that CSCs followed the same paradoxical cell metabolism of non-stem cancer cells as described by Dr. Warburg. Recent publications, however, cast serious doubt on this simple cancer cell metabolism characterization. Instead, the new complexity is found in the simple. The first study, Inhibition of Amino Acid Metabolism Selectively Targets Human Leukemia Stem Cells, published November 12 2018, found that CSCs use amino acids (glutamine, glutamate, cysteine, valine, iso-valine, leucine…), the building blocks of protein, to drive energy production via the efficient oxidative phosphorylation metabolism pathway of energy production. This is in stark contrast to non-CSC cancer cells which predominantly follow the paradoxical Warburg metabolism pathway of energy production with glucose only. This amino acid driven oxidative phosphorylation has been shown to be the predominant cell metabolism in leukemia, brain, breast, and pancreatic cancer CSCs. Another study, MYC and MCL1 Cooperatively Promote Chemotherapy-Resistant Breast Cancer Stem Cells via Regulation of Mitochondrial Oxidative Phosphorylation, published on October 3rd, 2017, described the distinct oxidative phosphorylation (aerobic) metabolism unique to triple negative breast CSCs compared to the paradoxical anaerobic glycolysis metabolism of cancer cells that lack stem cell activity. So, what can we conclude from this new research? Was Dr. Warburg right? Yes and no. Yes, non-stem cancer cells love sugar as their primary source of energy production through the paradoxical aerobic glycolysis pathway he described in 1956. But no, as evident in the new research discussed above, CSC’s seem to march to the beat of a different drummer using amino acids and even fats (creating questions for the advocates of ketogenic diet only) for energy production via the oxidative phosphorylation pathway. As different (heterogeneous) as the individual cancer cells are in a tumor, CSCs, and non-stem cancer cells are equally different. Einstein said, “any intelligent fool can make things bigger and more complex…it takes a touch of genius and a lot of courage to move in the opposite direction”. As we seek to make cancer cell metabolism simple, we must not miss the truth, evident in the science, that is found in the beauty of the complex. We must embrace the complex! Only then can we find the simple. 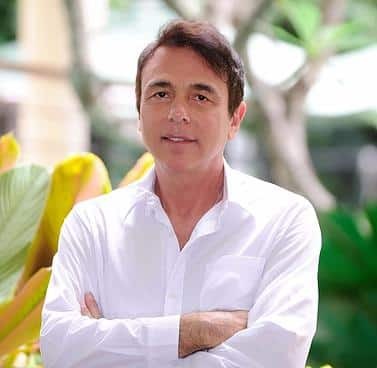 Dr. Thomas Lodi combines the best alternative therapies with the best conventional ones. Here he talks about his methods and shares health information that is essential reading – whether you have a cancer diagnosis or want to learn more.